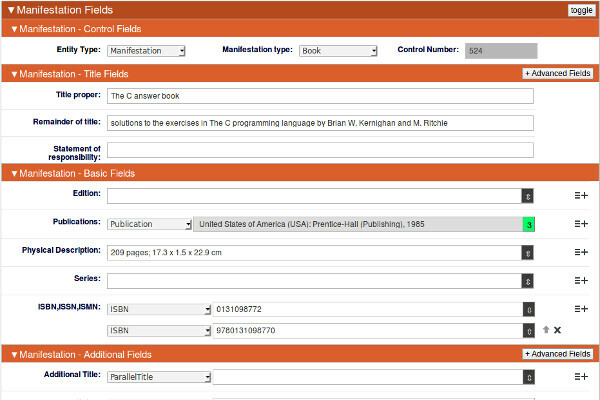 A demo implementation of the FRBRoo ontology, a harmonisation effort of the FRBR and CIDOC-CRM semantic models. We have implemented a set of significant entities specified by the aforementioned model, in order to prove the validity of our approach. 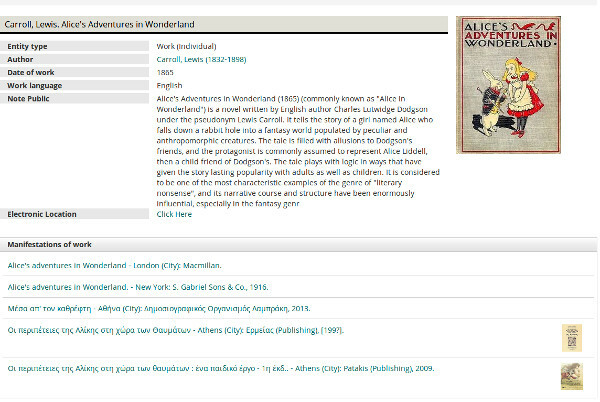 The metadata schema of each entity is extended with properties specified in the main MARC (Marc21, Unimarc) formats, from the guidelines of RDA cataloguing rules and from experience gathered from actual implementations in libraries and archives. 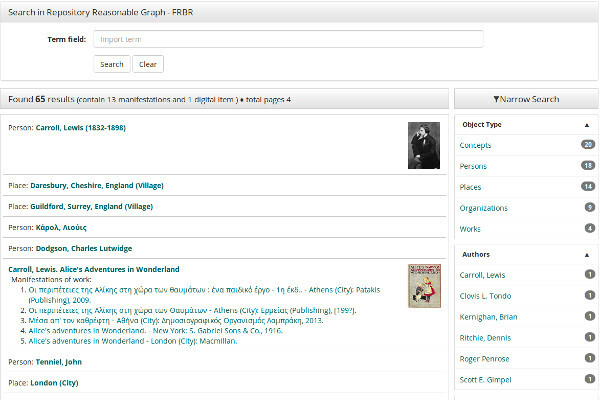 The demo wishes to provide an enterprise level experience of handling, searching and retrieving data and digital content in cultural collections, i.e. museums, libraries and archives, that adhere to the FRBRoo standard. Also to depict the ability to extend and customize pre-existing standards. Most relevant for users and cataloguers from the museum, library and archive domains. Please contact us for further info and assistance. Support provided by the ReasonableGraph development team. Commercial support also provided by the Altsol development team. Use demo/demo as username/password to login and start using the app.